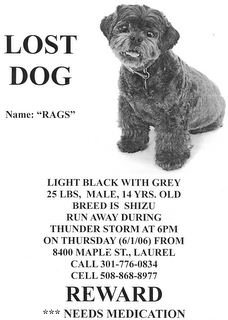 This lost dog was last seen on Ashford Blvd (previously on Cambridge Circle) off Cherry Lane west of Route 1 in the vicinity of Laurel Lakes. It might stay near the lake or the upstream pond for food and water. When last approached the dog fled, so please call the owner before approaching it, unless it comes up to you on its own. Here's a scrollable map of the Cambridge Circle area. 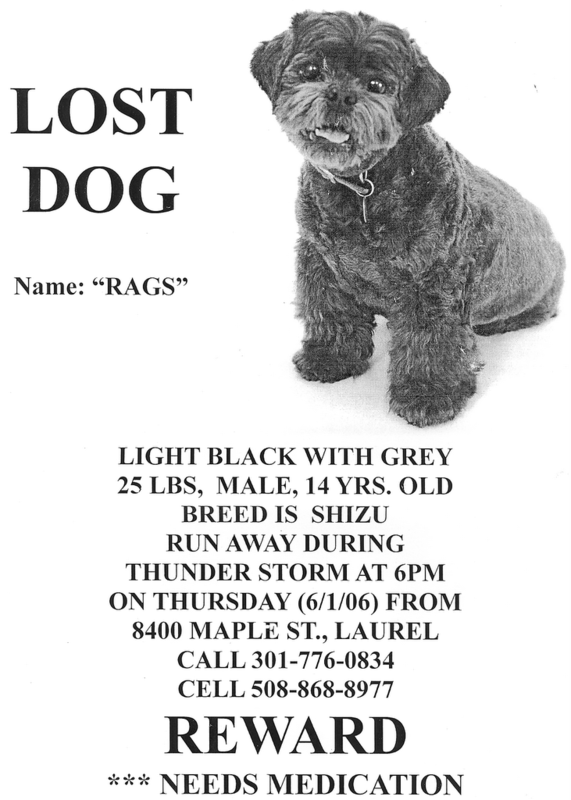 The dog's home on Maple St. is east of Route 1 near Cypress (just north of Contee Rd at Route 1)-- so it has crossed Route 1 at least once already. So it might end up anywhere in only a few more days.